We anticipate a vacancy list to be issued very shortly by the Division of School Facilities. Don’t Miss You’re Opportunity to Promote! Permanent Custodian Engineer Level I notifies the Division of School Facilities, Director of Field Operations in writing, that he/she has acquired his/her Stationary Engineer’s license and would like to be considered for promotion into permanent Level II title, (henceforth called “Step-ups”). A current copy of the NYC Stationary Engineer license must be attached to the written request and the request must be received prior to the Friday the vacancy list becomes effective. Members have an additional opportunity to “Step-up” according to the April 2016, MOA. A relevant two-year associate’s degree or four-year degree (e.g. engineering technology, construction technology, construction management, building management) from an accredited College/University will be treated as the equivalent to a Stationary Engineer License (High Pressure Boiler Operator) for promotional purposes. The same notification procedures to DSF apply. In lieu of the Stationary Engineer License, you would send a copy of your degree and transcript. The Division of School Facilities will review the request, taking into account the applicant’s past job performance and financial management. The applicant will be notified of the determination. Step-ups will be given a Level II seniority date of the Friday the vacancy list becomes effective. If more than one Step-up is promoted, Rank # will be based on their seniority in their permanent Level I title. Step-ups currently in Level I assignments must apply for transfer to a Level II assignment from the vacancy list. If a step-up does not receive a Level II assignment from that list, and there are still assignments available, the Division of School Facilities will assign that individual to one of those assignments. (Should the Custodian Engineer decline the promotion, he/she must rescind the request in writing). In the event there are no Level II assignments available from the list, the Step-up will receive the same Friday seniority date in the Level II title but will be temporarily assigned to a Level II building until the following vacancy list is advertised. The Step-up must then apply for transfer to jobs on that list. All Step-ups must serve one year in their first Level II assignment before they can transfer. Level I Custodian Engineers with Refrigeration Licenses, serving in Level II assignments at the time of their promotion, with less than two years in that assignment must remain in that assignment for one year from the date they are promoted to Level II before they can transfer. Level IR Custodian Engineers serving in assignment who would be eligible to transfer may apply for a transfer from the list. There will be no probation period for Level II Step-ups, provided they previously served a one-year probation in the lower title. A Level I Custodian Engineer with a Refrigeration License serving in a Level II assignment, who has not completed probation will complete their one-year probation at that assignment under the Level II title. In October and November of 2014, many Local 891 members and a member of their staff attended the Swimming Pool Operator training through the American Swimming Pool and Spa Association at Local 891. These certifications are due to expire this year. Local 891 now offers this course through the National Swimming Pool Foundation that is also recognized by New York State. I have set aside two dates prior to your certifications expiration date. Thursday and Friday, June 20 and 21, 2019 and Monday and Tuesday, August 12 and 13, 2019. Both classes will be from 8:00 am to 4:00 pm. Please contact the committee at education@local891.com and let us know which class you prefer. In June of 2017 many members took part in CPR/AED training from the American Red Cross. Those certificates expire this year as well. I have arranged for two dates; Tuesday, May 14, 2019 and Tuesday, June 11, 2019 to update your CPR/AED training. Both trainings begin at 8:00 am. Please contact the committee to schedule one of these dates. The next asbestos screening for Local 891 Custodian Engineers will be held on Saturday, March 9, 2019 from 7:00 AM to 12:00 PM. Please fill out this Asbestos Screening Request Form and fax back to Joanne O’Neill @ 212-941-4835. When I receive your application, you will receive an E-Mail with appointment time and forms to fill out and bring with you there. We all know the supply allocations that were just received will not last us through the fiscal year. Use the funds to order all essential and necessary supplies. As you run low, follow the process outlined below and continue to request the additional items needed to run your assignment. The Union is pushing the administration to provide the funding necessary to properly operate the school system. We are exploring other possible actions, including going to the press. The added stress this is placing on the members of our Union is taking its toll on some of us. Don’t feel you are alone. If you not certain how to proceed, contact the Supplies Chairman for guidance at the email address below. While I have been in touch with the CSA leadership, you must make your Principals aware of the situation. We need them as allies. We will not be held accountable for the City’s inadequate funding and the agency’s mismanagement of the budgets. At the February 7, 2019 General Membership Meeting at K650 Whitney Vocational HS, 257 N. 6th Street, Bklyn, NY 11211, there will be a raffle for free tickets to this year’s dinner dance at Russo’s on the Bay. To be eligible for this drawing, you must be a member of Local 891, have purchased a minimum of two tickets to the dinner dance and your check for your tickets must be received in the Union Office by Friday, January 31st. Now there is even more reason to purchase your tickets early!!! The following In-Service courses are being offered by the Local 891 Education & Training Fund. This course is required for all those renewing their Refrigeration license. It will be held on Thursday and Friday, January 17 & 18, 2019 at 8:00am each day. 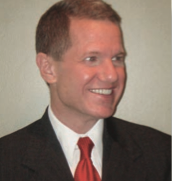 If you have already attended the BOMR training you are not required to do it again! Certified Pool Operator – 16 hour course. The class will be held on Monday and Tuesday, April 8 & 9, 8:00 to 4:00 both days. Fire and Life Safety Director – 31 hour course. Tuesday, January 29, 2019 from 8:00am to 4:00pm (7 hours). Tuesday, February 12, 2019 from 8:00am to 4:00pm (7 hours). Tuesday, February 26, 2019, from 8:00am to 4:00pm (6 hours plus exam time). There has been a change to the schedule to the FLSD course! This class is required for those obtaining the Fire & Life Safety Director Certificate of Fitness. The FDNY encourages all to take this class. The next Active Shooter Class will be held on Friday, March 8 2019 at 8:00AM. The FDNY welcomes anyone to participate in any component of the Fire and Life Safety Director Course. However, in order to receive a Certificate of Fitness your building must require this Certificate. We are beginning to compile a roster of anyone interested in attending the 200 hour RMO course to start in September 2019. This course will be held In-Service for 891 members and in the evening for people other than 891 members. We will schedule an additional Galaxy/Famis course if there is enough interest. Please contact the Education Committee at education@local891.com. Local 891’s own Membership Assistant Chairman is featured in this video. Vinny McParland performs a vital function helping our members who are in need and he did a great job in this video. Local 891 is just the second union to enter negotiations since the establishment of the new pattern. While I sought for us to begin talks sooner, we cannot claim that our negotiations have not begun promptly. Historically, our union has always been denied prompt negotiations and has often been one of the very last City unions to get to the table and ultimately settle. The economic package achieved by DC 37 and subsequently accepted by the UFT is being offered as required in our previous agreement. As always, I will seek to improve upon that as much as possible. That’s not a problem. The problem is the expedited part. OLR’s list of non-economic demands is unreasonable. Many of you would find their demands unacceptable and it is too extensive to allow us to settle this round of negotiations as quickly as hoped. I urge you to attend our Union meeting this Thursday at Bayside High School in Queens. Please come out to learn more details, ask your questions and voice your opinion. The Children’s Holiday Party will take place at P.S 22 in Staten Island on Wednesday, December 19, 2018. Please purchase a gift for a child in the price range of $30 to $35. You may also make a monetary donation in the same amount. 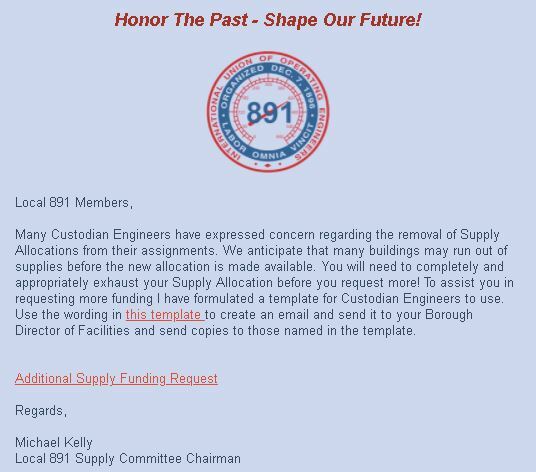 Please give the gifts or checks (payable to Local 891) to your District Stewards, Executive Board members or Borough Chairmen as soon as you can. You can also bring the gifts to the General Membership Meeting this Thursday, December 6, at Bayside H.S. (Q495), 32-24 Corporal Kennedy Street, Bayside, NY 11361. I know we can count on each and every member of Local 891 to open their hearts this holiday season. Lets make this holiday season a memorable one for the children of P.S. 22. We are approaching the annual LOCAL 891 Blood Drive and I am still a few donors short of getting the Staten Island site open. If you haven’t already committed to donating and intend on participating at the drive, please let me know a.s.a.p. If you already confirmed your donation and would like to bring a family member or friend to help meet our required number of donors please contact me to add them to the list. Time is running out and I need to finalize by early next week. Hopefully, we can register a few more donors and get the site open. We have received reports of Charter Schools approaching Custodian Engineers with self-formulated Annual Plans. Please be reminded that you, the Custodian Engineer, are the only person who formulates your Annual Plan in consultation with your primary rating officer. Once fully agreed upon and executed, you may then share your Annual Plan with all other Department Principals and Charter School Organizations. This is your one and only plan that covers merged sites and multiple campus schools housed within your assignment. TCs are covered under their last Annual Plan, do not formulate a short term plan. For questions on formulating your Annual Plan please refer to the email I sent you on July 17, 2018. It’s reprinted below for your convenience. Enjoy your weekend! Once you have evaluated your FY 2019 allocations you should establish a new Annual Building Plan, one that can be easily accomplished with your base budget. Many assignments have received cuts in the available man hours for the year. We recommend that you reduce expectations. Explain to your Principal that you will continue to provide the best service possible with the funding you receive, but you can not commit to providing services that the Department is not funding. We recommend you use this sample building plan. Remember the CE now writes the plan in consultation with the Principal. If the rating Principal refuses to sign the plan you establish be sure to keep a record of your interactions with them regarding the plan. In the unlikely event of a Principal’s Rating grievance the Special Master will now hold the CE accountable for the lack of a plan, but not for the lack of a Principal’s signature, if you can show you consulted with the Principal. 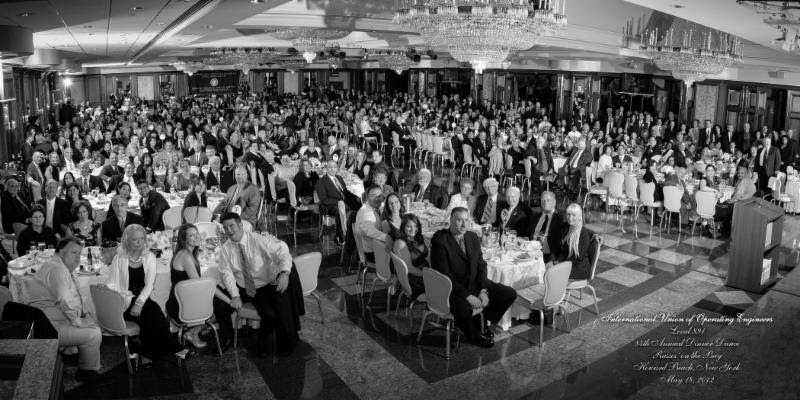 The Columbia Association Custodian & Administrative Employees Charitable Foundation is having their Annual Scholarship Dinner Dance on Sunday, October 28, 2018 at Vetro’s Restaurant in Howard Beach. This year’s “Man of the Year” is Custodian Engineer Joseph Dellacava. We recommend you use this sample building plan. Remember the CE now writes the plan in consultation with the Principal. If the rating Principal refuses to sign the plan you establish be sure to keep a record of your interactions with them regarding the plan. In the unlikely event of a Principal’s Rating grievance, the Special Master will now hold the CE accountable for the lack of a plan, but not for the lack of a Principal’s signature, if you can show you consulted with the Principal. Most of you are aware that the FY 2019 Budget amounts are now posted in Galaxy. In addition to the 202 funding changes mentioned in the circular, some assignments had other budget adjustments that were not laid out in Circular No. 4 2017/18. Some buildings had additional reductions to the number of custodial employee hours for which they are funded. Notify your DDF if you feel the funding provided is not sufficient. We have asked for copies of the “IBM Cards” for each assignment. Also, it is vital that you carefully examine the new yearly 113 allocation and determine if it significantly under-funds your building’s extra activity needs. If it does, inform your Plant Managers in writing immediately. Please keep us informed of their response. Although the Department is still using the same basic “IBM Cards” funding formula they have used in the past, there is no requirement they adhere to that schedule. You must adjust your Annual Building Plans and your staffing to reflect the funding provided. Run your assignment without accumulating a “reserve” in any funding category.” If you don’t utilize the funding provided, they are likely to steal it again. Most assignments should enter the school year with a negative “burn rate.” How else would we accomplish the work necessary over the summer? The new fiscal year (FY2019) will begin on July 1, 2018. It is unclear whether FY 2017 data and information will still be retrievable on Galaxy. Please print out copies of any information and or data you wish to retain, such as DARs. We have been informed that in the near future, individual space sheet payment amounts will only be visible in CPS, not on Galaxy. Local 891 has been informed that the NYC Department of Citywide Administrative Services (DCAS) has begun the process of formulating a new Civil Service Test for the position of School Custodian Engineer (CE). I will provide more information when the details become available. Local 891 will likely provide a prep course for the exam. The course will be free for Provisional Local 891 Members. The process of developing the test, advertising the exam, scoring the exam, establishing a list, and ultimately hiring new CEs is obviously very time-consuming. It’s good that the process has finally started. We have been advocating for this for a long time. Currently, the Division of School Facilities is reviewing Provisional Applicants and will continue to hire CEs with a Steam or Refrigeration License through that process until the new list is established. I ask that you encourage any qualified individuals to submit a resume to DSF. Level 1 CE vacancies will continue to be filed from the existing civil service list. You can click on this link to view the Official Transfer Winners Circular #3 and/or the links below to view the top five standings for each assignment recently awarded on the vacancy list. The official move date is June 29, 2018. Congratulations to those that were successful in the process. Honor The Past – Shape Our Future! You may click here for a list of the Local 891 members who were awarded a Transfer from the recent Vacancy/Transfer List. Congratulations to those who were awarded a transfer. Please contact Rating and Transfer Committee Chairman Robert Calamia at 718.455.9731 ext. 269 or via email at ratingandtransfer@Local891.com if you have questions or concerns. Official notification and the top five standings will be sent once they become available. Several weeks ago, we met with DSF officials to discuss FY-2019 custodial budgets. No budget dollar figures were presented to us at that time, nor since. There was no discussion of an overall budget cut, although that is obviously always a possibility. The other more significant change will be the way we are funded for extra activities. The permit and space sheet process will remain the same, but each building will receive this funding in a front-loaded annual (113) amount. The (113) amount for each building will be based on three year’s historical usage at each site, adjusted up to cover the current custodial employee pay rates. In future years the amount will be adjusted based on the space sheets submitted the prior year. Plant Managers have been tasked with evaluating the changing usage needs of each site and will have limited discretion to increase or decrease your 113 amount to reflect each site’s actual needs. If your building’s usage changes the amounts should be adjusted. The use of the 113e category and code will be eliminated. There are still many unanswered questions. We are scheduled to meet again with DSF on June 12th to further discuss this matter and get additional details. Knowing your total funding for the year upfront should make the scheduling of your staff simpler and more efficient. The most important question still to be answered is what are the amounts we will receive. This is the only information we have about this subject right now. If funded properly, these changes should be positive and are in keeping with what we negotiated in our MOA. You may use this 2018 TDA Temporary Rate Change form to change your TDA contribution rate on your upcoming lump sum payment, which is scheduled to be paid on 07/12/2018. Please consider maximizing your contribution for the year. You need only submit the front of the form, unless you have a change of address, in which case print and submit this back page of the form as well. All signed forms MUST be returned to Pension Committee Chairperson by June 1st so the document can be checked for correctness prior to processing. 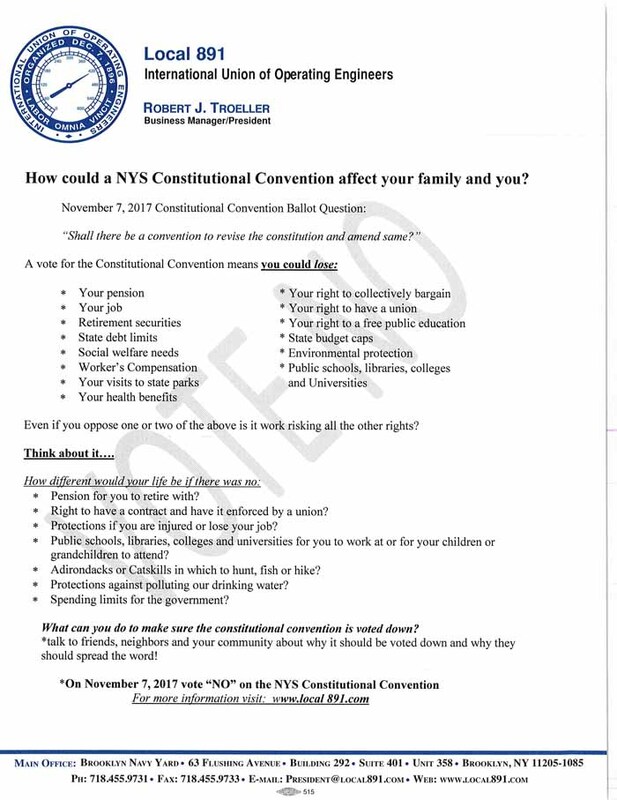 They can be handed directly to the Pension Committee Chairman, Chris Attianese at the May 3rd Union Meeting, or scanned and emailed to pension@local891.com, or mailed directly to the union office where the Pension Committee will retrieve them. The starting and ending payroll dates should both be 07/12/2018 for Lump Sum purposes. This form will be made available on the BERS website in the near future and will also be used for increasing your TDA rate on your primary assignment during a Temporary Care. When submitting this form for a Temporary Care, the dates should reflect the first and last check dates. IMPORTANT NOTE: Please DO NOT submit a TDA rate change between now and the lump sum payment to avoid issues with the actual lump sum rate change. If you have submitted a rate change recently, please make a note of it on the form. Additionally, you should consider joining the City’s 457 TDA program. You can use this program to double the allowable amount of your tax differed savings. The 57 Program DOES NOT offer the same 8.25% guarantee rate that the BERS TDA program currently offers. You can read about the 457 Deferred Compensation Plan and enroll by clicking this link. There is still time to enroll and further maximize the deferral of taxes on this and future Lump Sum payments. This 457 program allows you to change rates online and turn your contributions on and off as you desire. You may Click Herefor the official results from the recent Vacancy/Transfer List. Congratulations to those who were awarded a transfer. Please contact Rating and Transfer Committee Chairman Robert Calamia at 718.455.9731 ext. 269 or via email at ratingandtransfer@Local891.com if you have questions or concerns. Official notification and the top five standings will be sent once they become available. The effective date of transfer is June 16, 2017. The next asbestos screening for Local 891 Members will be held on Saturday, March 25, 2017 beginning at 7AM and ending at 12 Noon. Please fill out this form and fax back to Joanne Oneill @ 212-941-4835 or email it to:occupationalhealth@local891.com. The location of the exam is; Medical Associates of Wall Street 65 Broadway Suite 903 New York, N.Y. 10006. When I receive your application you will receive an E-Mail with appointment time and forms to fill out and bring with you to the screening. There has been renewed interest in the S-12 and S-13 Certificate of Fitness exam prep courses conducted by Local 891. If you would like to attend one or both of these In-Service prep courses, please contact us at education@local.redpenguinwebserver.org and let us know which course you wish to enroll in . If you need to take both exams, let us know. For your convenience, we will schedule both exams on the same day. This document contains the latest extended use rates. The amounts reimbursed may vary. We will be sending an email clarifying which holidays the custodial workers have off this month, as soon as the information is confirmed. Welcome to the Local 891 Web Site. I hope you find the information contained herein and the features available to you to be very useful. Any suggestions for improvement, added content or if you find errors please direct them by email to webmaster@local.redpenguinwebserver.org. This site contains many improvements over our original site, including many more forms that our members may need. These forms are now faster to download, and many can be filled out on your computer before you print them out.